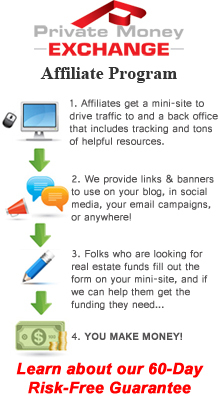 The All-In-One Marketing and Business Software Solution for Real Estate Investors. 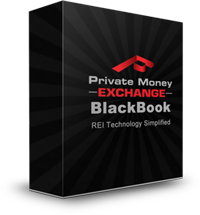 PME BlackBook provides everything you need to successfully run your Real Estate Investment business including Contact Management, CRM, Sales Funnels, Lead Generation, Marketing Automation, Websites, Deal Analysis, and Community Forums – simplifying and automating your day-to-day business so you can focus on what matters. Gain instant credibility with your own professional done-for-you websites. Expertly written and designed, your sites give you a competitive edge, save you thousands on a custom built site, and spare you from technology-induced headaches. Professionally Designed Website Templates - With 3 site templates available, you can easily target – buyers, sellers, and private money. Each site is pre-written and optimized to attract search engines and prospects alike. Integrates with your CRM - Leads captured on your website are automatically imported into the REI Blackbook Client Genie, a robust CRM. Follow-up is automated depending on the type of lead you've acquired with no additional work from you. Easy to Customize - Our step-by-step page builder makes customizing your site simple, and you'll never see a snippet of code. The plug and play process means you'll be up and running in minutes. Stay on top of your contacts, tasks, calendar, and deals. Never lose a lead again with a fully integrated CRM that puts your follow-up on autopilot. This system allows you to easily import data, provides a powerful Deal Tracker and Task Management System. "My Client Genie" reminds you of your daily scheduled tasks in addition to easily sorting and segmenting your client lists. Manage Your Business - See contact information, lead sources, referrals, conversations and more in one place. Segment your list based on interests and actions. Manage Your Deals - Organize your deals with a customized by you deal tracker. Knowing what stage each deal is at allows you to schedule future tasks and follow-ups. Manage Your Day - Create custom to-dos and calendar events. My Client Genie will remind you, or better yet your assistant, on the right day what needs doing, and will continue to do so until it's been done. Attract qualified leads while you're out closing deals. PME Blackbook captures your prospects' information and automates your follow-up – saving you time and making you money. Our marketing resources enable you to create your own Single Property Websites, Property Flyers, Lead Magnets, Landing Pages, Email or Print Campaigns, and so much more. Single Property Websites - With a few clicks you'll not only have a single property website, but you'll also populate your listing to more than 35 of the most popular real estate marketing websites. 1-Click Property Flyers - Create elegant, professionally designed property flyer pdfs in under 30 seconds, saving you time and money. Lead Generation and Follow-up - Easily create and draw in prospects through lead magnets and landing pages. Customize the wording, data fields, and content, and PME Blackbook will automatically send email campaigns based on the type of lead. Along with the Profit Analysis Engine and a powerful Online Community Forum, PME BlackBook is a web-based platform that supports novice and veteran real estate investors in growing and sustaining their investment business through automation and systemization. Copyright© The Lee Arnold System of Real Estate Investing - all rights reserved.